AHR Featured on the the Front page of the LA Times !! Can you help us? Every little bit does make a difference and any amount is appreciated. It won't take more than a few minutes of your time to donate. Click the donate button below. Our mission: to broadcast the many horses that pass through the California auctions, so some can be saved and the rest forever remembered. Every week we attend auctions all over Los Angeles and Southern California. Where possible we take photo's of the horses and post them on our Facebook page as a sort of running commentary, live from the auction site. We have members of our team on site at these auctions and take phone calls from people wanting to rescue specific animals and sometimes can and will assist with the purchase of a horse to an approved home and may at times be able to help with arranging transportation or point in the right direction. Please start following us on Facebook as this is where the updates happen daily. Watch Sterling Stormy's Happy Ending! Sterling Stormy's story is a great example of the work we do. "Sterling's Stormy" is a 26-year-old Chincoteaue Pony stallion who nearly sold to slaughter. 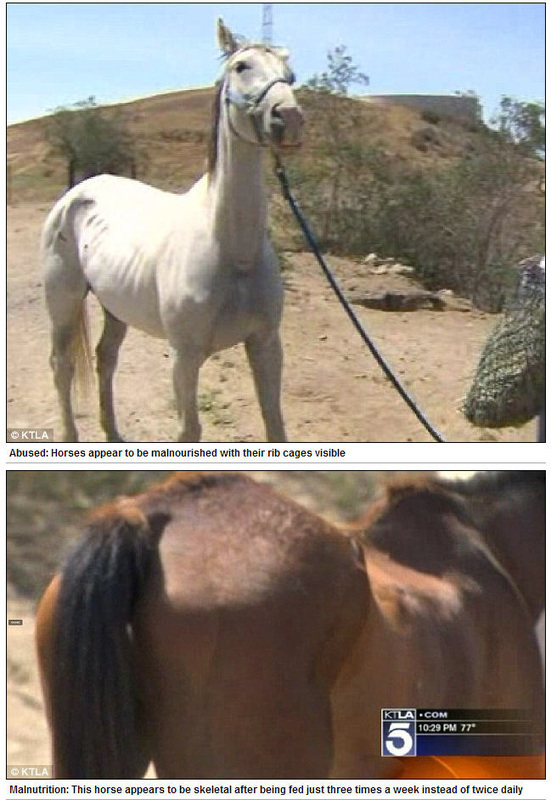 One night in October 2013, AHR was able to save the ancient stallion from an action. For a mere $35. Watch as he arrives in his native Maryland. He is now home and safe at Chincoteague Pony Rescue. BERKELEY (KPIX 5) — A Bay Area race track is investigating why one of its thoroughbreds ended up on the auction block, where horses are at risk of being sent to slaughter. As KPIX 5 reported earlier this year, the policy at Golden Gate Fields bans retired horses from being taken to auction. But as we discovered, a horse fell through the cracks. He’s called New Macho Man, a two-year-old thoroughbred with a Kentucky pedigree. After a race in January, he came in third, but got injured. Two months later, he was on the block at an auction house in Turlock. 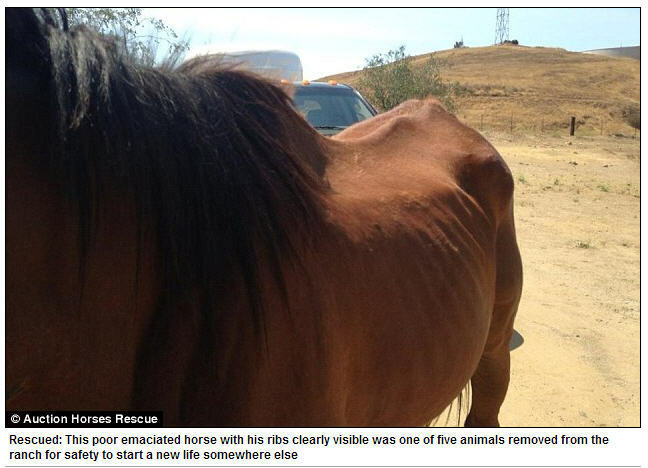 A KPIX 5 investigation found many race horses end up there, selling for pennies on the dollar. 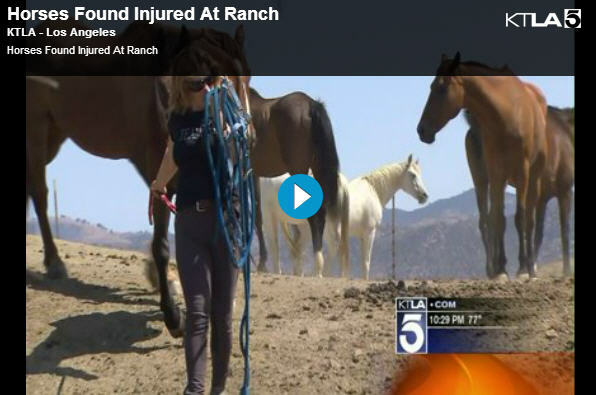 SIMI VALLEY (KTLA) — Humane society officials in Ventura County are investigating a horse ranch in Simi Valley after animals were found malnourished and injured. The remains of two horses were also found at the ranch in between Simi Valley and Chatsworth, officials said. “It’s not right,” said Peggy Lane, an equine hauler. “They don’t ask for this.” Megan Gaynes of Auction Horses Rescue said her group found horses that were underweight and one that had an open wound. The group plans to nurse the animals back to health. As KPIX 5 reported earlier this year, the policy at Golden Gate Fields bans retired horses from being taken to auction. But as we discovered, a horse fell through the cracks. He’s called New Macho Man, a two-year-old thoroughbred with a Kentucky pedigree. After a race in January, he came in third, but got injured. Two months later, he was on the block at an auction house in Turlock. A KPIX 5 investigation found many race horses selling there for pennies on the dollar. Primarily a cattle auction but some horses do go through every week. Website states that horse auction starts at 12.30pm but horses can start as early as 10am.